Wed., 22 Jan. - Sat., 25 Jan. Sun., 19 Jan. - Thu., 23 Jan. Thu., 16 Jan. - Sat., 25 Jan. Sat., 18 Jan. - Mon., 27 Jan. Sat., 18 Jan. - Fri., 24 Jan.
See all 146 properties in Richmond Intl. Situated near the airport, this hotel is 0.8 mi (1.3 km) from Virginia Aviation Museum and 1.7 mi (2.7 km) from White Oak Village. Broad Street and Dorey Park are also within 6 mi (10 km). 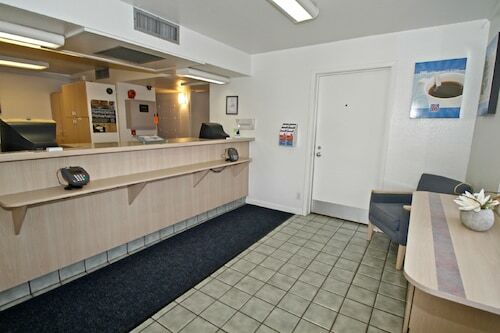 Situated near the airport, this hotel is within 1 mi (2 km) of Virginia Aviation Museum and White Oak Village. Broad Street and Dorey Park are also within 6 mi (10 km). 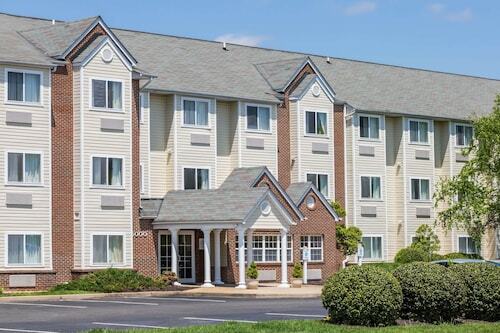 Situated near the airport, this aparthotel is within 1 mi (2 km) of White Oak Village and Virginia Aviation Museum. Broad Street and Dabbs House Museum & Henrico County Tourist Information Center are also within 6 mi (10 km). 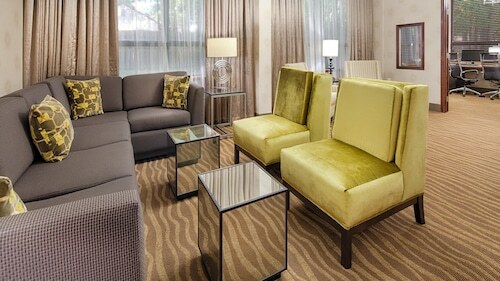 Situated near the airport, this hotel is 1.4 mi (2.2 km) from White Oak Village and within 9 mi (15 km) of Richmond Coliseum and Greater Richmond Convention Center. Edgar Allan Poe Museum is 9.4 mi (15.2 km) away. Question : How much is a plane ticket to Richmond (RIC) from Calgary (YYC)? Answer : Cost can range from $394 to $808, prices for YYC to RIC change less than most routes from Canada. Remember, you can save by booking further in advance. Answer : The cheapest day to fly from Calgary to Richmond is on Monday. If you would like to save a bit of cash on your next getaway look for flights on that day. Question : How much time do people spend in Richmond? Answer : The average time spent in Richmond by travellers from Calgary is six days. However long you decide to stay, give yourself plenty of time to see what makes Richmond fantastic. Question : What is the cheapest date to fly to Richmond? Answer : As of Apr 15th, the cheapest day to fly from Calgary to Richmond is Apr 15th. Tickets are presently being sold for $423, which is 22% less than the average price. Answer : Yes, you can change your departure or arrival date. If you would like to save a little money in doing so, the lowest-cost day to fly in April is Monday. Being flexible with your travel days can provide you extra savings when booking. Question : What is the cheapest airline flying from Calgary to Richmond? Answer : WestJet is your best bet for finding that sought-after low fare. They offer fares as low as $394, while rates for other flights are as high as $808.